Halloween is my husband's favorite and my second favorite (Christmas being the first) holiday of the year! We love decorating the house, dressing up and going to great parties, the trick-or-treaters... I've noticed though, at least where we live, that there are barely any trick-or-treaters at all anymore. I remember as a child as soon as school let out everybody running to change into their costumes and going all around the neighborhood to collect candy. It was great. Now I never get any trick-or-treaters at my house, and when I drive around I might see a few smatterings of them here and there, but nowhere near like it was when I was a child. I find it sad. I'm hoping it's just my neighborhood which my husband and I plan on moving out of so, when we do move, it will be like it used to be for our future children. 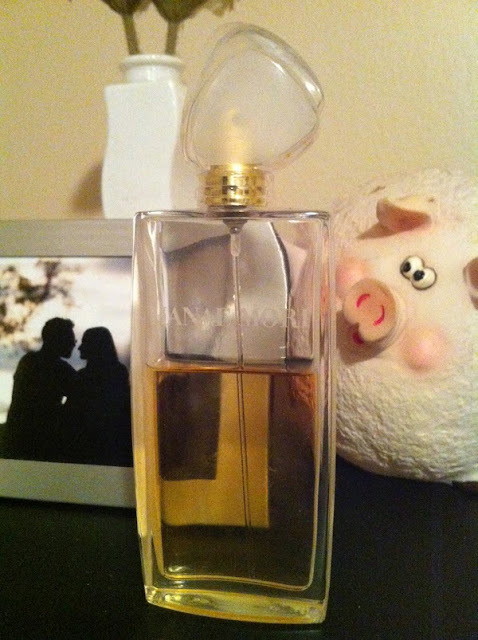 My favorite go-to perfume has always been Hanae Mori. I'll be writing about fashion, beauty, my newest interests, my journey through life and all my hopes for the future. So welcome to my blog. I hope you enjoy everything I have to share.